This bone shaped dog bowl mat is the perfect thing for your dog's eating area. Dogs get so messy when they eat and drink! Stop having to wipe up the floor every time they drink and get a mat to catch everything for you. 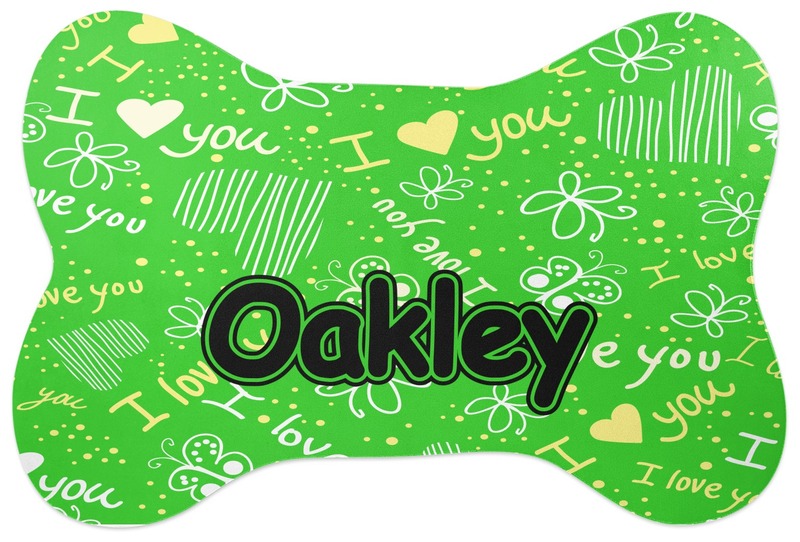 This pet bowl mat has a rubber bottom for no slippage, while the top is a flat polyester with your design printed. It is approximately 19" x 13" to be the perfect size for two bowls. 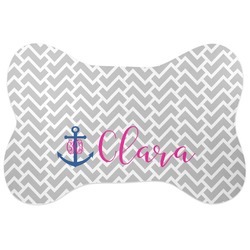 The bone shape gives an extra bit of personality to your dog's area. Easily wipe off or shake out when cleaning is needed. 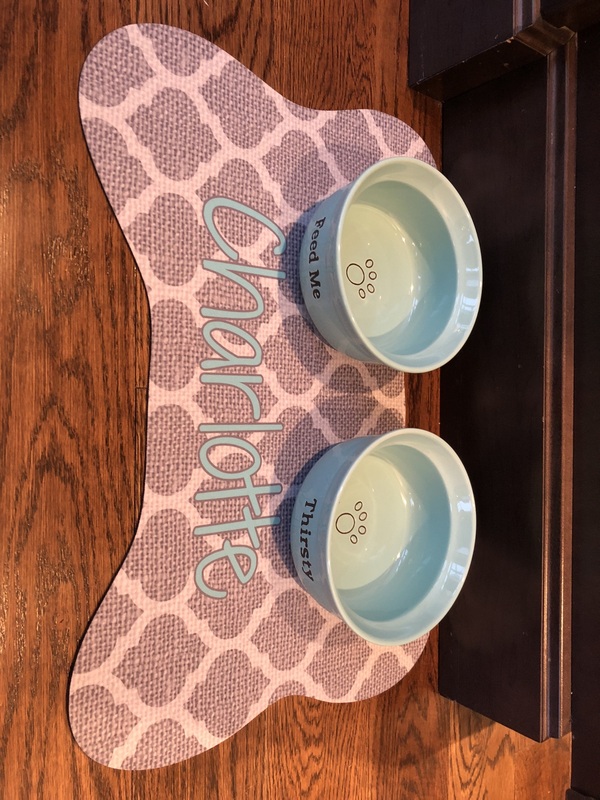 Go into the design center to start on your dog's bowl mat! Choose from thousands of backgrounds to get started. 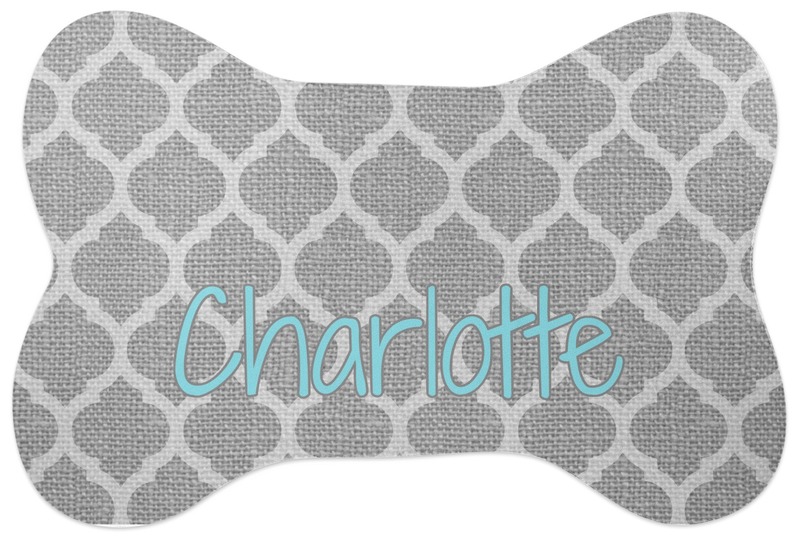 Pick a fun font for their name, a ribbon, frame, and more. If you ever need any help in the design center just give us a call. We are happy to help. 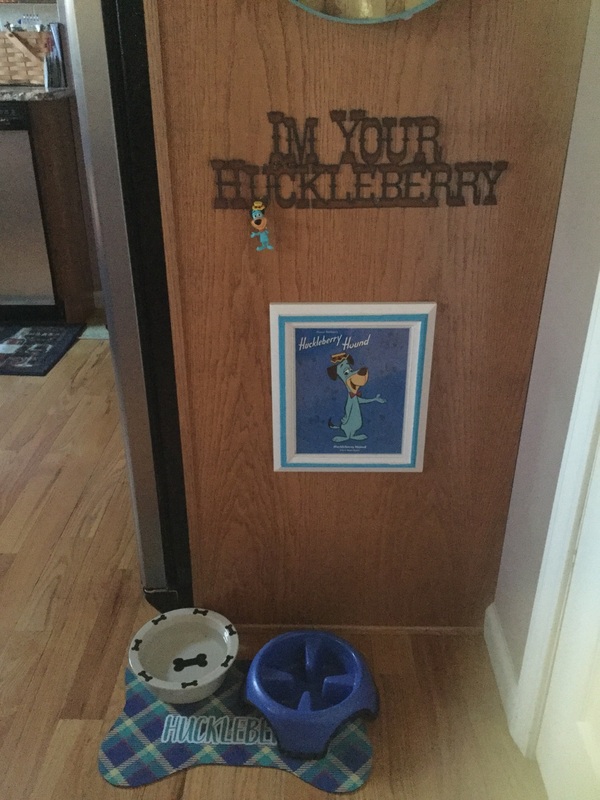 If you are getting a dog bowl mat, you MUST get a dog bowl to match! Check out our pet bowls in our Pet Accessories section. 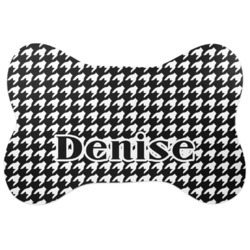 Take a look at our other pet products like our bone shaped pet tags as well! 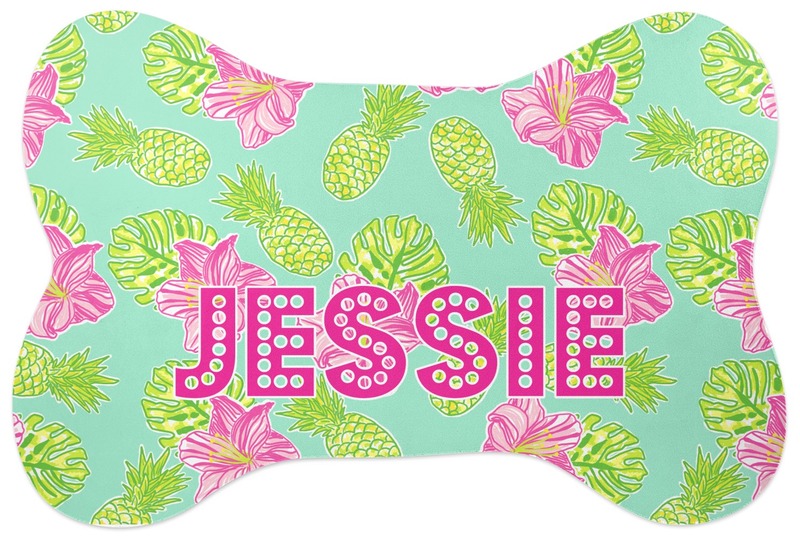 Love the pineapples & hibiscus flowers on her mat & so glad I got her name “In Lights”. Looks great! 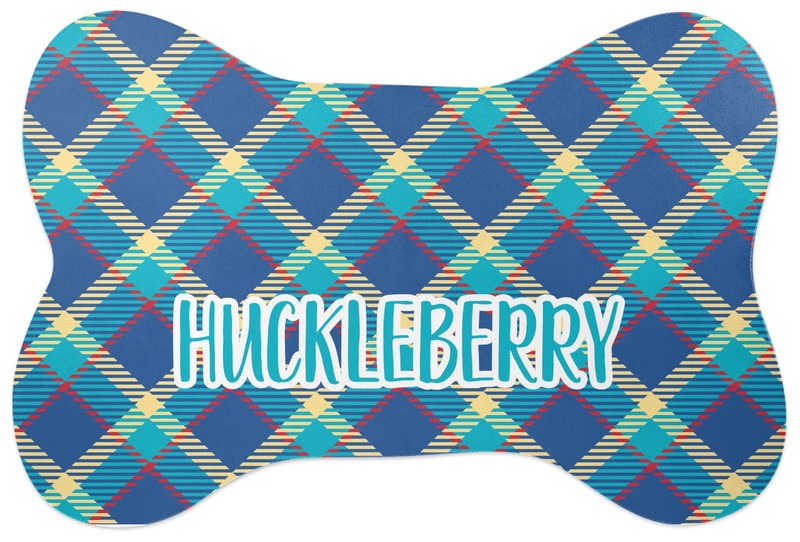 I love how you mix your own colors and choose plaid design! I’ve made two ( getting new puppy soon) now. Seems well made. Ordered this on Sunday night and received it Thursday!! It is super cute and I just love it! This is my new favorite website! We love the personalized mat! I customized this design and it was shipped quickly. However, there was a flaw in the top right corner. I contacted customer service, emailed a pic of the flaw, and within a few days, I had a brand new one - flaw free! Really pretty and I love it!